The eyes speak volumes about a person. When eyelids have excess skin that sags or even hangs over the lids, it makes people look tired and unhappy, and may even obstruct vision. Daniel Man, M.D., a Florida board-certified plastic surgeon, performs blepharoplasty on people living in Boca Raton, FL, and the surrounding communities who want a fresher, more relaxed appearance. Blepharoplasty is a surgical procedure designed to remove the excess fat and skin from the upper and lower eyelids, a condition called ptosis. An eyelid lift results in brightening the face and restoring a more youthful appearance. For some patients, eyelid surgery improves vision by removing the excessive skin of the upper eyelids, which often hangs down and interferes with peripheral vision. Droopy eyelids, dark circles and puffy bags under the eyes give people a tired appearance even though they may feel rested and full of energy. Eyelid surgery does not correct crow’s feet or other wrinkles or lift sagging eyebrows, which may be done through other procedures. An eye lift is often performed by itself or with other cosmetic procedures, such as a brow or forehead lift, facelift, cosmetic laser surgery, skin resurfacing, and nose reshaping, among others. Blepharoplasty is right for you if you have excessive amounts of skin hanging over your eyelids or have puffy bags under your eyes. For individuals who have vision issues due to excess skin, eyelid surgery is beneficial in correcting these issues too. During eye lift surgery, two issues are corrected. For the upper lids, using a laser, an incision is made in the natural crease to remove excess skin and fat. 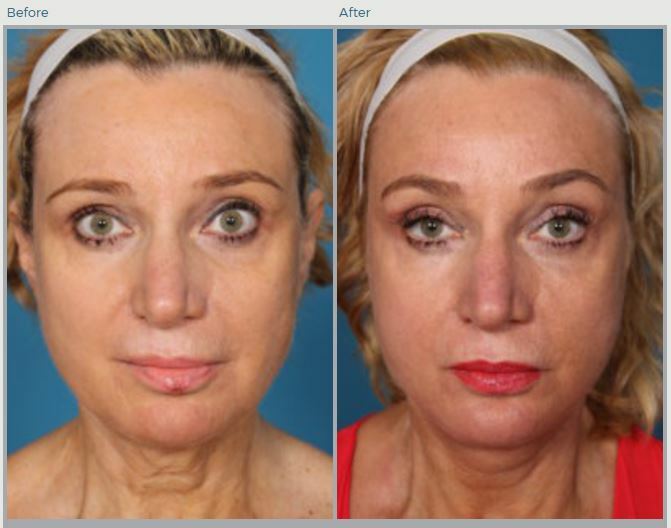 The lower eyelid lifts involve making a thin incision just inside the lower lids and removing excess fat. Each of the procedures is performed under a local anesthesia with IV and numbing to temporarily remove any feeling. Using the laser, or a peel, the areas of skin may also be resurfaced under the eyes, such as dark circles and “crepe-paper” skin. Those of ethnic heritage, such as Asians, are often characterized by an absence of a crease or a fold in the upper eyelid. This crease can be added to give the eyes a more Western look. 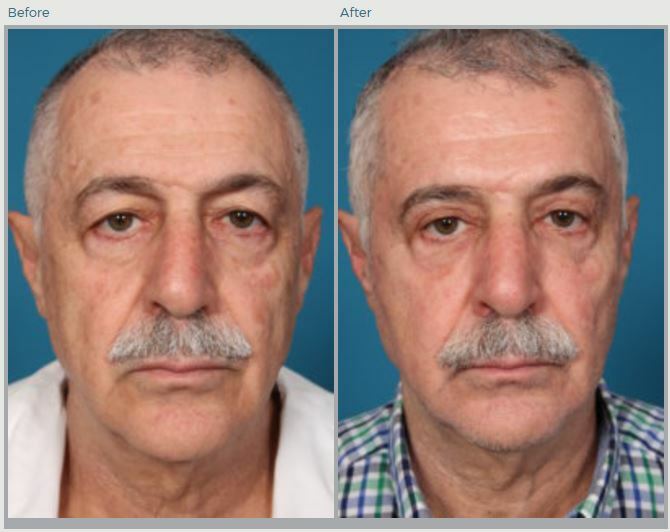 Immediately following an eyelid lift, patients are taken to a recovery room to rest until the anesthesia has significantly worn off and to monitor for any complications. Any necessary medications are administered to prevent infection and minimize discomfort. It is imperative for patients to have someone stay with them for the first 24-48 hours after the surgery. Patients may choose to stay overnight at our center the first night following surgery to receive care and allow for complete rest. Our nurses are all ACSL certified, and our facility has specialized recovery options, including chest wall cooling methods to reduce pain and swelling, a hyperbaric chamber, and oxygen treatments to speed healing. Patients may have slightly blurry vision due to the prescribed lubricating ointment, light sensitivity, redness around the eyes and other minor issues. These typically resolve themselves within a few days. Patients typically return to the surgeon’s office to have any stitches removed after about a week. The full results are visible within several weeks. The cost of eyelid surgery is different with each patient depending on the extent of the issues associated with the eyelids, as well as whether the procedure is combined with other cosmetic procedures or treatments. Dr. Man goes over the cost with each patient during a consultation, as well as payment options and financing. Health insurance may provide coverage depending on the purpose of the procedure. If you have vision issues or have a permanently exhausted look because of excess skin and fat on and around the eyelids, we recommend scheduling a consultation with Dr. Man. During this consultation, he talks with you about your goals and evaluates your eyes and any concerns you may have. At that point, he makes a recommendation and discusses what he would like to do in detail so you can make an informed decision about it. He also answers any questions you may have. Florida board-certified plastic surgeon Daniel Man, M.D., performs blepharoplasty on the residents of Boca Raton, FL, and the surrounding communities who want to look less tired or correct any vision problems. Please contact us to set up your consultation today.